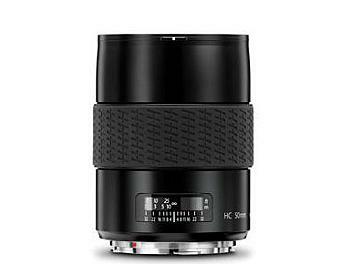 The Hasselblad HC 50-II lens is a 50mm prime lens, which has an angle of view similar to that of a 31.4mm lens mounted to a 35mm body. The lens features an updated optical design resulting in more even performance across the frame, and better close-up capabilities. What's more, the Hasselblad HC 50mm-II Lens also features 11 optical elements in 7 groups, a maximum aperture of f/3.5 and a close focus point of 60cm.